Yesterday I printed a 10 page manual for my guitar amp, downloaded of course since I didn’t have the original. I went to staple it together with my trusty VICTOR stapler, but that failed miserably. 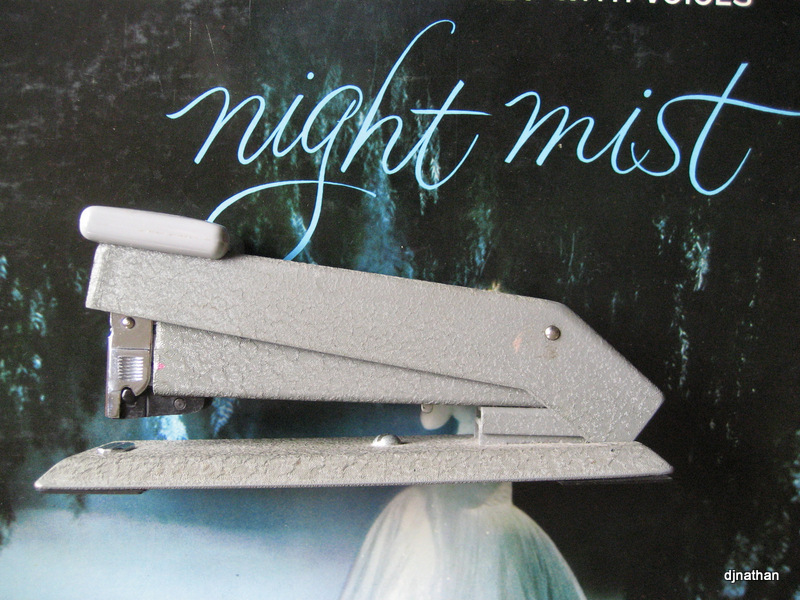 Later on I was passing the office junk aisle in a thrift shop (where else) and spotted this old stapler for $4. It looked rugged, my foremost criterion for a stapler, so I purchased it in the hope it would blasted through 10 pages like “butta”. It didn’t disappoint! I began to wonder how old it was. 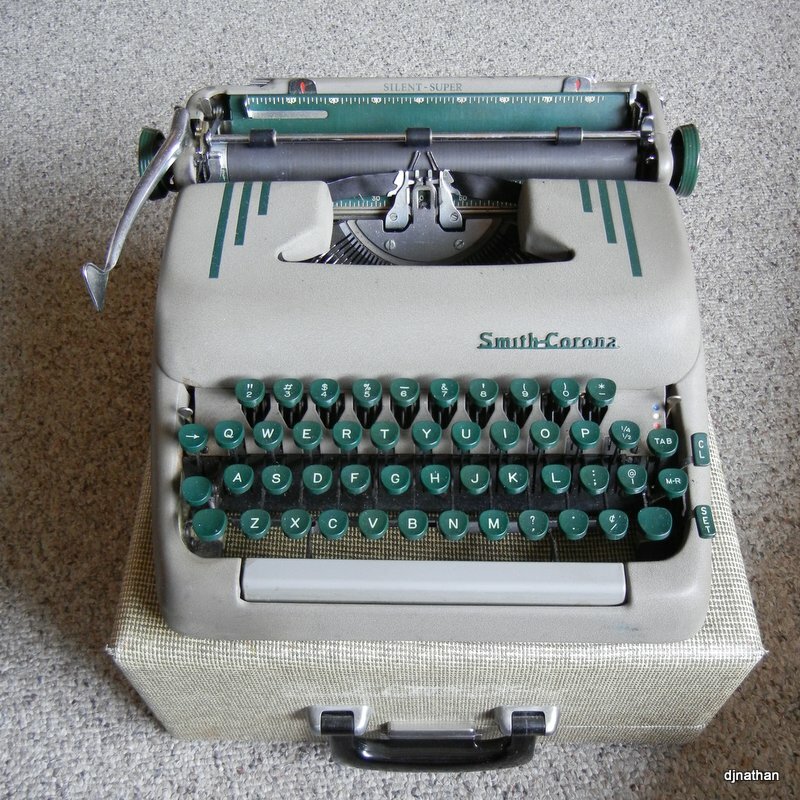 I was shocked to discover, through circuitous web searching, that the basic design dates from 1936! 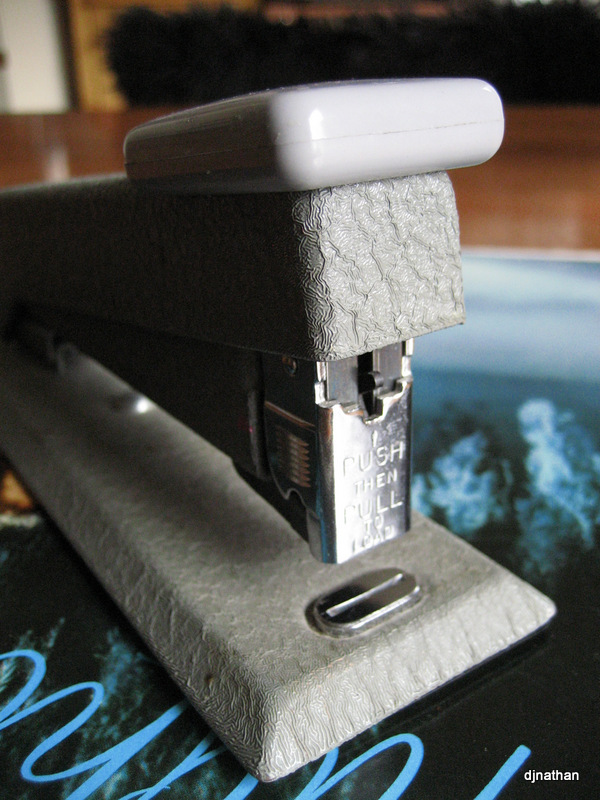 One other reason to like this stapler is how well it matches old Smith Coronas, dull greyish crinkle paint and all. Here’s a side view of mine. Dig the background – a vintage George Shearing LP cover. 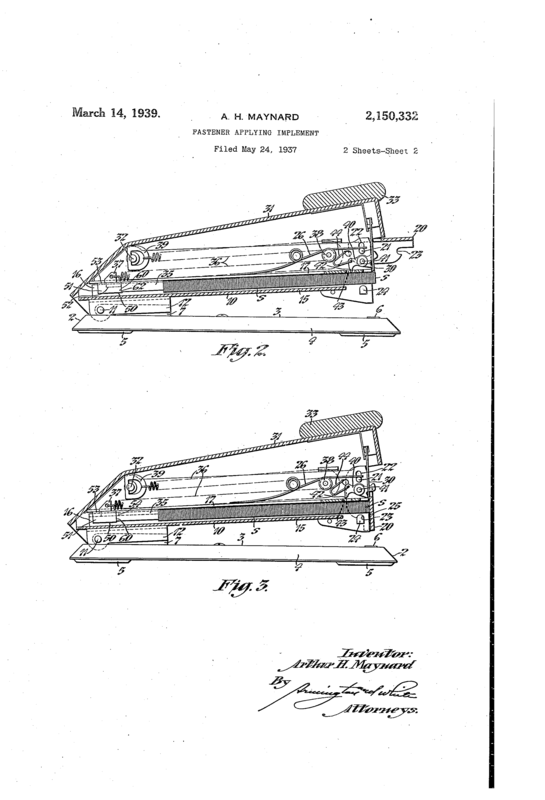 The record itself was awful, but we generally like most of Shearing’s stuff. 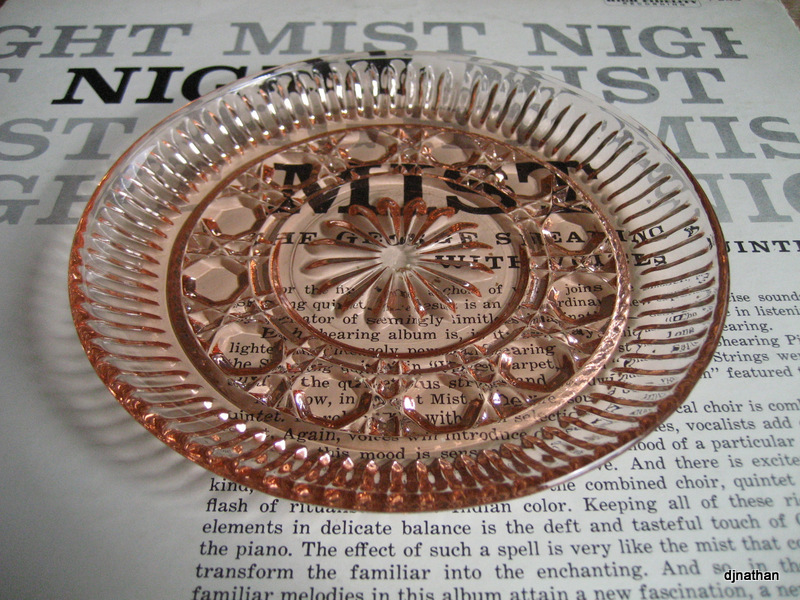 The other old item I acquired yesterday was a pink depression glass plate, $2. Someone out there who knows more than I do says this is Federal Windsor button & cane design. Beats me, I like the colour! Last night I served myself a Peek Frean tea biscuit on this plate, with a beer. Both were delicious!